About a hundred Irish townlands have the English name Commons. One of those is in Newtownards, County Down. The townland of Commons is the flat land in this photo, below my vantage point of Scrabo hill. The water in the photo is the northern end of Strangford Lough. 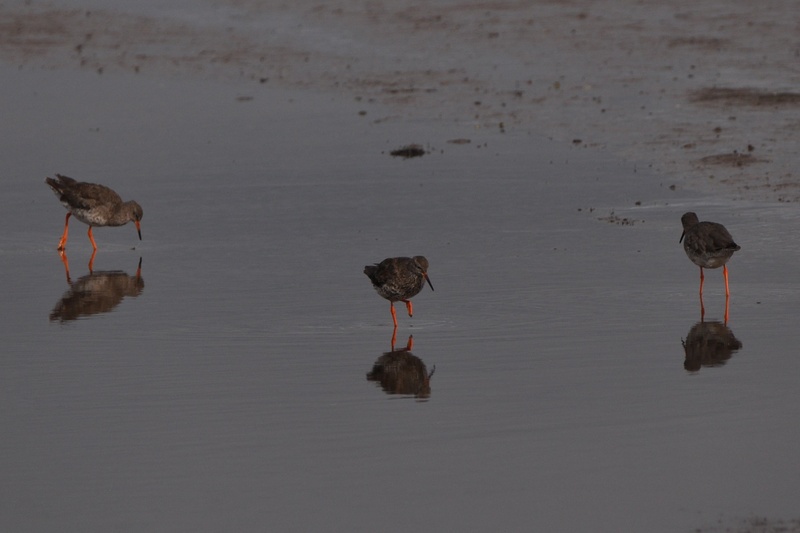 Walkers have easy access to the lough shore along the Floodgates path, from which I photographed these redshanks….. 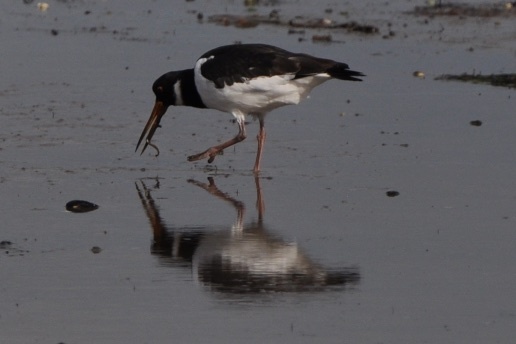 In winter the bird population swells as Brent geese arrive. I will write more about the geese when I move on down the coast to the townland of Ballyreagh. The flat land behind the flood defences is Newtownards airfield. The airfield opened in 1934, and within a short time all the airlines serving Northern Ireland were based there, offering regular flights to Glasgow, Blackpool, Liverpool and Croydon. 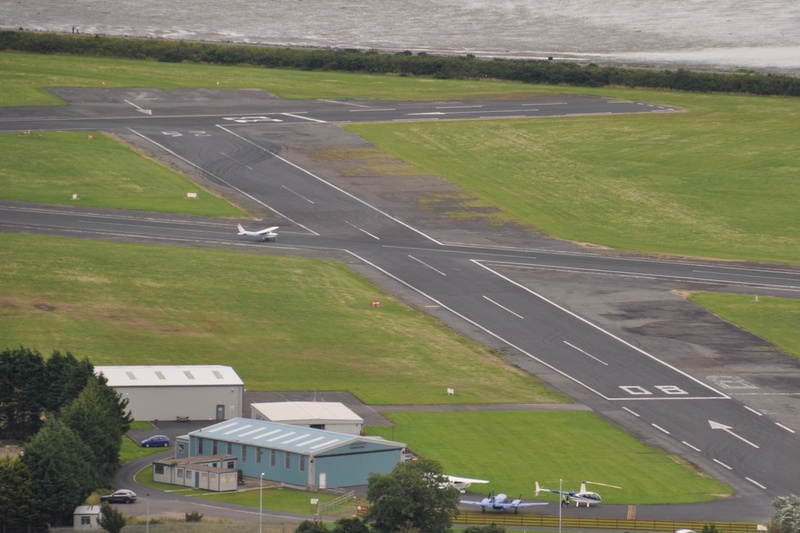 By 1938 Newtownards was 7th in the list of airports for the British Isles, based on its volume of traffic. Then two things changed the character of the airport. In 1938 Belfast Harbour Airport opened. It was built on land reclaimed from Belfast Lough, so it was much closer to the city. 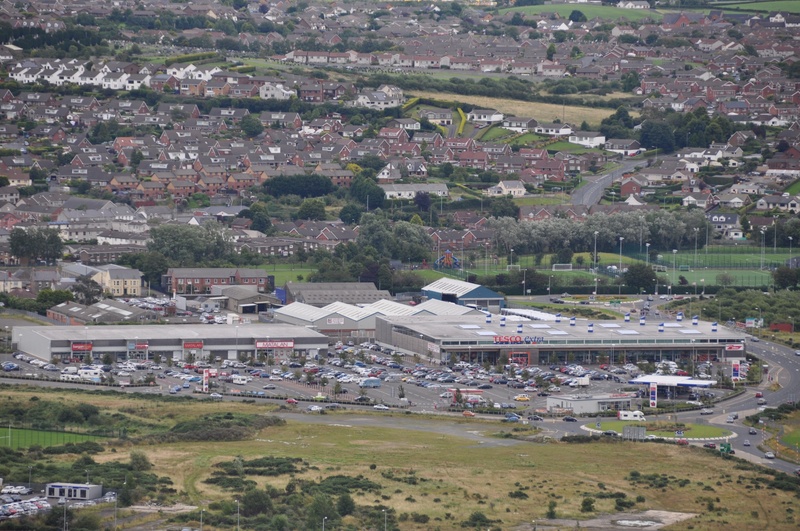 Airlines moved their operations away from Newtownards to the harbour site, which is still going strong under its new name of George Best Belfast City Airport. The second event was the Second World War. The Royal Air Force used Newtownards for training and for Army co-operation duties (which consisted of flights over army convoys and general support for tactical exercises). 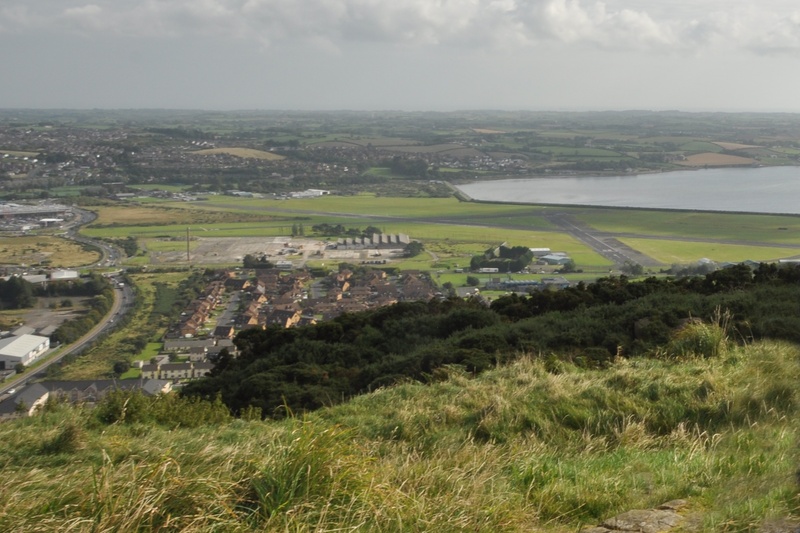 Private flying resumed after the war, and Newtownards is still home to the Ulster Flying Club. If you are interested in the people who lived in Commons townland in the 19th century, click here to see an interesting map and list on Derek Beattie’s website, identifying the landlord (usually the Marquis of Londonderry) and the tenants of individual parcels of land. The townland boundary now runs through the carpark at Tesco Supermarket. Other Commons townlands in Ulster appear in Belleek (County Fermanagh), Carrickfergus (County Antrim) and Carnteel, Killyleagh and Newry (all County Down). One day I should reach them all, but it could take a while! For a route map for the Floodgates walk, click here. 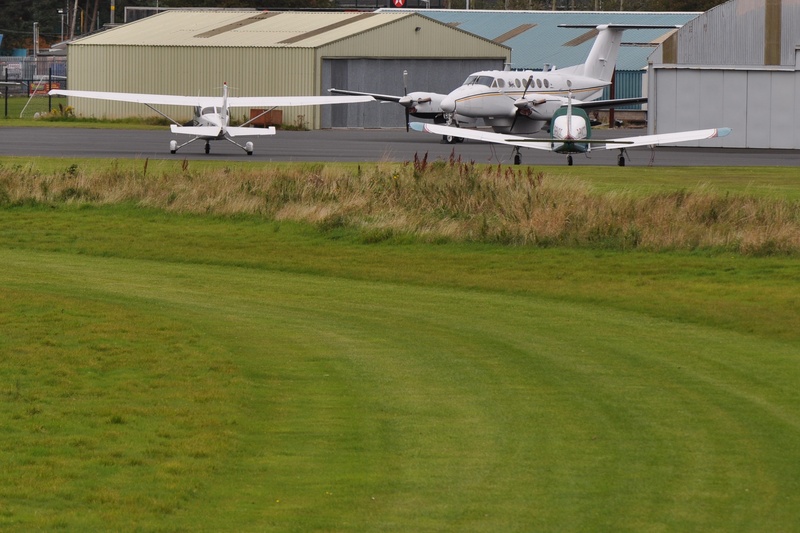 My source of information on Newtownards airfield was the website of the Ulster Flying Club. Interested in flying lessons? Click here for their homepage. Prefer to stay on the ground? Click here for a second page from which you can download Ron Armstrong’s account of the airfield’s history. Which townlands border Commons? To the north and west of Commons townland is the town of Newtownards, which is divided into the townlands of Corporation North and Corporation south. To the east is the townland of Gregstown. To the south is Strangford Lough. And finally, click here to see a map of Commons and to read about the townland’s name on my usual source – PLACENAMESNI.ORG.